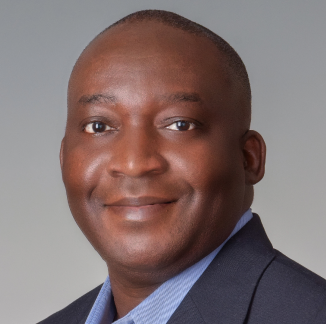 As Senior Buyer for one of the world’s largest supermarket chains, Patrick Boateng runs at a very fast pace. 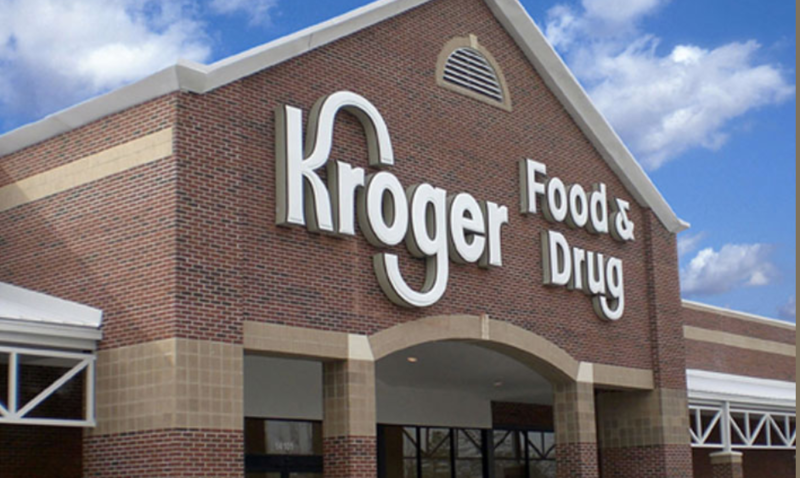 At Kroger Company, which has annual sales over USD 115 billion and is often ranked among the top three powers of American retailing, his responsibilities include the super-important tissue and paper products categories. Patrick’s 18 years of experience in the consumer products industry have given him extensive, multi-faceted insight into Consumer Products Manufacturing, Sales & Marketing, and Supply Chain Management. In addition, his academic credentials include a BS degree in biochemistry and a Master’s degree in Marketing and Communication. TissueStory recently caught up with him in Miami to explore how both the tissue sector and the retail business are changing and adapting to today’s evolving market forces. Patrick’s background includes degrees in both Biochemistry, as well as Marketing & Communication. TissueStory: Patrick, how did you get into the tissue sector? Patrick Boateng: By accident, of course. With my background in Biochemistry, I was exposed to topics such as food processing, biology, and health science, and I developed quite an interest in these areas. I was working at Battelle Research Laboratories in Columbus, Ohio, and then was introduced to Kroger, where there was a Quality Assurance position in a manufacturing plant that fit for me. While employed there from 2000 to 2005 I also decided to pursue a Master’s degree in Marketing and Communication. 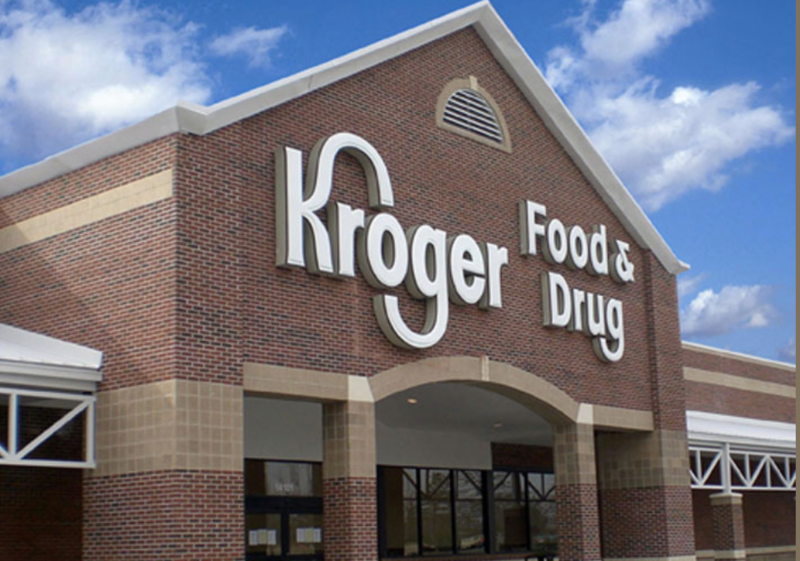 When I graduated with my MS in 2005 I was offered a move to Kroger’s corporate Sales and Marketing team in Cincinnati, where I could use my knowledge in food processing and combine that with marketing. In 2006 I was promoted to manage one of our sales accounts in our Atlanta division, which comprises four states, Georgia, Alabama, East Tennessee and South Carolina. In 2009 we went through a major reorganization and I was offered a transfer back to Cincinnati to join the corporate brand team. That group managed our corporate brand strategy and innovation tasks, as well as sales, planning, sourcing and promotional analysis. This team eventually evolved into the sourcing team we have today in 2018. How did tissue fall under your responsibility? That team was doing sourcing for all private label products and along the way I was taking on additional responsibilities. Tissue happened to be one of the categories I got, along with other items like peanut butter and jelly, coffee, honey, beverages, etc. So, over the years some items I previously managed moved to other associates, and other categories moved to my desk, but I’ve always been responsible for tissue since that time. In addition to tissue, I now work with all household cleaning products such as detergents, soaps, and bleach, as well as tabletop products like paper, plastic plates and foam products. How important is tissue for Kroger? For us, it’s huge, because it’s a very essential item that has super-high household penetration rates. It drives customers to our stores and that’s very important. And as far as our own spending to buy the products we sell, tissue is certainly one of the bigger spends that we have, so there is more focus on that category. What’s your impression of the tissue category? Tissue is a very exciting business. Every day you’re hearing about new developments, so it’s a very dynamic category. Of course, if you are standing outside the tissue category, you would think that paper is just paper, and it’s very simple. But it certainly isn’t. Once you get into the details you realize it’s very complicated. There are many important variables such as sheet counts, plies, basis weight, softness, strength, pulp qualities, and all the different technologies that can be used to give these products the properties we are searching for. Those complexities were attractive to me, because I like something that’s challenging and makes me hungry to know more. So it’s my job to understand the entire value chain, right from the pulp and other raw materials that go into these products. We follow pulp prices very closely, since it has such a high influence on our costs. And it’s been flying high recently, rising from about $900 to over $1200 for NBSK (the benchmark grade, northern bleached softwood kraft) over the past couple years. It’s been said that retailers have a ‘love-hate’ relationship with tissue since it drives traffic but it also takes up a lot of shelf space and volume. How do you see it? I don’t consider it a love-hate relationship. Of course, it does take up shelf space but in our company we don’t see it that way. Perhaps it’s due to the fact that our stores are generally very large. Competitors with 50-60,000 ft² stores (5-6,000 m²) will struggle, but some of our stores are 100,000 ft² and more, so our opinion is that tissue is a good traffic driver and that’s very positive. Private-label versus brands: Has the balance changed? Yes, it certainly has. In the old days people only focused on the premium national brands. And there were only a few vendors who could supply that. Now everybody has access to the full range of bath tissue qualities, whether it’s ultra-premium or TAD. And our suppliers don’t even have to buy a TAD machine; they can buy TAD parent rolls on the market and convert it and ship to us. And that’s what I see some suppliers doing today. At the same time some tissue manufacturers want to focus on the mid-tier products like conventional, because it has more volume. But the data I’ve seen shows that TAD, or ultra, is certainly increasing in the USA. And it appears that there is more money there because if you compare it on a price per square foot basis, TAD generates more revenue. So private-label tissue is slowly going up, but the brands are fighting hard to maintain share. What do you feel is driving this private label growth? I think that the millennial generation, meaning young people born between 1981 and 2000, are the drivers to a large extent. For this group, once a product meets their budget and it performs the work that they want it to, they buy it. They have little or no national brand loyalty. And I see this increasing over the next decade, as long as there’s no major quality difference between PL and brands. How do you view online retailing? Online shopping is certainly accelerating, but it’s not a simple “either/or choice” of online versus bricks & mortar. There can and will be hybrids such as our Grocery Pickup, formerly called ClickList, which is a ‘click on our website and collect at our store’ service. We have specific items that do well in that arena, such as the bulky items or club packs, which people prefer to shop online and pick up in a special area of the store. It’s easy for people to stock up on bulky items, with tissue certainly being a great example. But, despite these initiatives, online retailing is obviously shaking up the market for traditional bricks & mortar retailers. I must, however, say that quite often it seems the reaction of equity markets on the issue of ‘online vs traditional’ seems to be more emotional than fact-based. The fact is that online retailing will grow but I don’t think it will kill bricks & mortar. It will be a hybrid of various channels. What can tissue manufacturers do to support you? I’d really like to see the tissue producers come to the table with ideas for innovations in the area of multi-channel retailing that will allow both sides to benefit. The changing retail landscape is certainly adding new pain points for all of us, and I think that by working together closely we can build better relationships and deeper, more effective collaboration. For example, everybody is talking about freight today. But not much is happening. I think we could jointly leverage our size to make real gains there. Another example is corrugated packaging, which quite a few of our items are shipped in. How could we perhaps join forces to buy corrugated together? Let’s try a pilot project and see what we can do. It would involve a lot of work, but I think the potential gains are sizable. So far, to be honest, I hear a lot of talk about being “strategic partners”, but very little actually happens. The changing retail landscape might force those things to actually happen! Now might be the time to look seriously at the benefits that this type of collaboration can really deliver. In conclusion, what would you say are your biggest challenges now? It is really the multiple channels we have to sell through today, including the traditional bricks & mortar, and the new online & delivery, as well as the hybrid online order & physical grocery pickup. You have to be able to satisfy all of these shopping channels today, and that’s difficult. On top of these, new retail concepts are being floated every day, such as Blue Apron which involves pre-portioned ingredients for high-quality meals that are delivered to your door. This itself is a hybrid between take-out food and online shopping. So all of these channels taken together are diverting our attention from what used to be very clear main responsibilities. It demands a real mindset change to successfully shift focus from the traditional grocery shopping environment to pay attention to all these other channels that are developing. It’s challenging, but it is our only way to prosper considering the new retail realities. Our honest aim is to work with suppliers that are committed and reliable, and that can meet all our expectations in this rapidly changing landscape. Everything is a moving target. It’s customer behaviors that are driving the new retail strategies, and those behaviors are changing rapidly. This is clearly the center of everything keeping retailers busy today.